History tells us the worst laws are hastily made in the heat of crisis. It is far too easy to create greater police powers, while our civil liberties are eroded in the process. Speed can be a dangerous thing in this regard. It would be premature to enact laws when not all the facts are known. Words cannot describe the horror felt by all Canadians of the murder of two soldiers and a shooting inside our parliament buildings. Canadians are united in rejecting the hate, violence and the senselessness of these acts. We mourn for the families of those who fell. We applaud the first responders who came to the aid of the fallen and protected parliamentarians and others, without which surely a more devastating result would have occurred. But, let's not be hasty in responding to these events with impulsive laws. We must take a step back and ask ourselves questions with no easy answers, 'What kind of Canada do we want this to be? 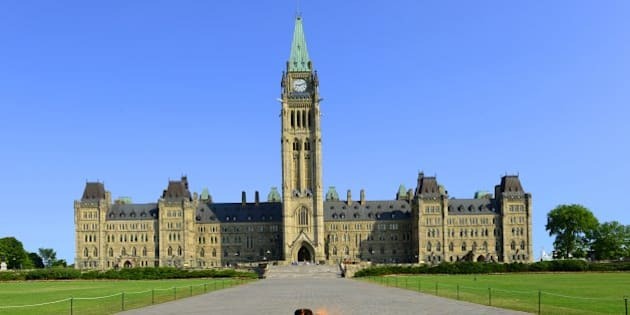 What is truly behind the happenings in Ottawa and Quebec? What successes and holes in security truly exist? Could these events have been thwarted or blunted using powers already available to the law enforcement and security branches? What are all of our options going forward?' We must let cool and reasoned heads prevail and carefully examine the unfolding evidence before we launch toward making new laws. Canada is built on the foundation of rule of law, dignity of our citizens and our most basic civil liberties. The freedoms of thought, belief, opinion and expression; association with one another; assembling together peacefully together with freedom of conscience and religion are core to Canadian society and our democracy. We must never waver on upholding these rights. We understand that sometimes reasonable limits prescribed by law might be required to ensure we are all secure. There are already numerous means to limit or thwart those who would commit violence. We know at least two terror motivated incidents were curtailed in 2013. Without a deep and considered examination of what powers the authorities already have and what is and is not working, we should resist the pressure to change laws. We are starting to understand that the deranged murderers were not mentally well and/or may have been motivated by the hijacking of perverted religious belief. No policing law will cure mental illnesses and the unpredictable acts that might arise from the most severely afflicted. Rather, we need better and more creative ways to respond to people who are potentially violent or motivated to support or join sadistic cults. We saw the ease at which a gun man entered the Parliament building. This might tell us to build better security infrastructure around parliament- a response well within current police and security powers -- rather than changing laws associated with our civil liberties or policing. There have already been suggestions that the number of police required to monitor all persons of concern in Canada would use up all the police's resources. This tells us to apply more police to this group pf people, not change laws. Even where weaknesses in law can be demonstrated proposed change needs to be measured. Any suggested amendments need to be demonstrably justified and proportional. Rather than reacting to fear, we must protect ourselves by first and foremost upholding the very basis of our free and democratic society. Only as a very last resort should we consider laws which erode our fundamental freedoms or overstep what might be considered reasonable or proportional limits. Whenever we are required to enact such measures they should come with robust checks and balances rather than eliminate or lessen oversight. The best reaction to extremists' disturbed view of society is to uphold the values, principles, and laws that make Canada what it is -- a free, multicultural, equal, respectful, welcoming, and democratic society. Upholding freedom undermines opposing visions of society. Enacting or changing laws that in any way erode our fundamental liberties is exactly the opposite reaction needed to counter those that would like us to embrace a despotic fearful society. We cannot submit to the lunacy witnessed in Quebec and Ottawa by acting equally impulsively and giving away the liberty those brave soldiers swore to protect.